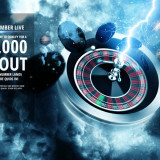 Home » Promos » Smart Live Roulette Lucky Number – Win £10,000! Smart Live Roulette Lucky Number – Win £10,000! 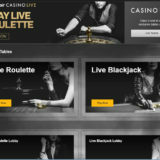 Smart Live Casino are starting their biggest ever live roulette promotion today, 1st March 2016. The promotion known as ‘Lucky Number Live’ will run all the way through March and at the end of the month one lucky player will be picked and become £10,000 richer. Well each day the Lucky number for that day will correspond to the actual day of the month, so if it’s the 15th March (the Ides of March! ), the lucky number will be 15. Then whenever the number 15 is drawn on live roulette all players active on the table during that spin will receive a ticket for a daily draw and the overall monthly draw on the 1st April 2016. As long as you’ve wagered at least £1 on a single number on that round of Live Roulette then you’ll qualify for the draw. A daily draw will be held and one player will win £100 in bonus money. There will be 30 daily winners between March 1 and March 30. 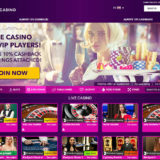 Winner – £10,000 cash (no wagering required). 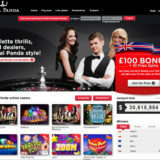 Runner-Up – £500 bonus money. 3rd Place – Three players win £250 bonus money. 4th Place – Five players win £200 bonus money. 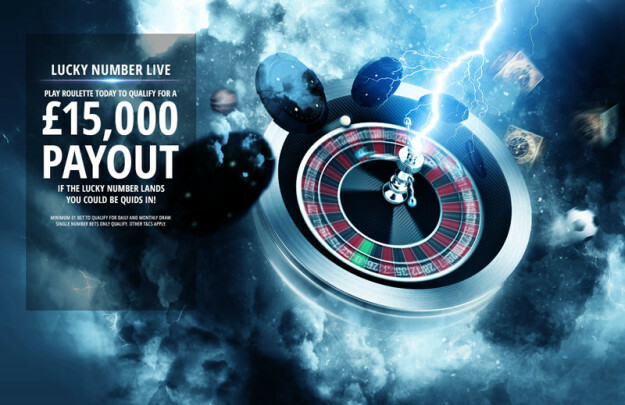 5th Place – 10 players win £100 bonus money. 6th Place – 10 players win £75 bonus money. 7th Place – 20 players win £50 bonus money. If you’re interested in giving it a go you can sign up here. Terms and conditions will apply so please make sure you read them.